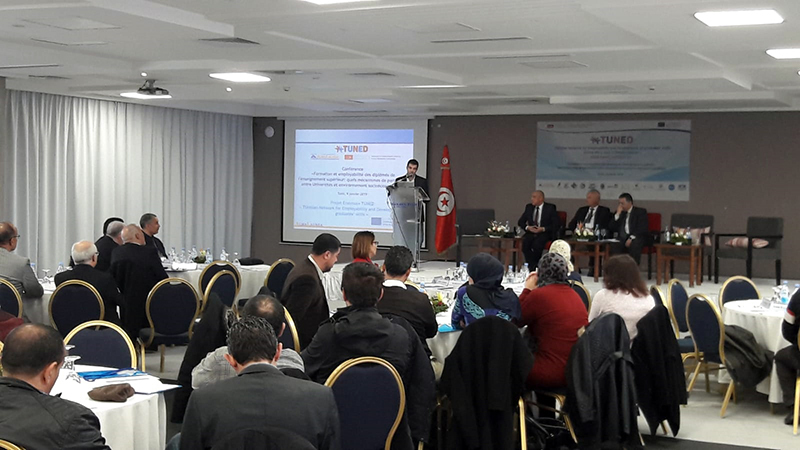 AlmaLaurea continues to work on the implementation of the Erasmus + Project TUNED “TUnisian Network for Employability and Development of graduates' skills”, co-financed by the Education, Audiovisual and Culture Executive Agency of the European Commission (EACEA) and coordinated by the AlmaLaurea Interuniversity Consortium, to the benefit of the Tunisian Universities of Carthage, Gabes, Gafsa, Jendouba, Kairouan, Monastir, Sfax, Sousse and Tunis, in collaboration with the University of Naples Federico II (Italy), Granada, Cyprus and the Mediterranean Universities Union UNIMED. 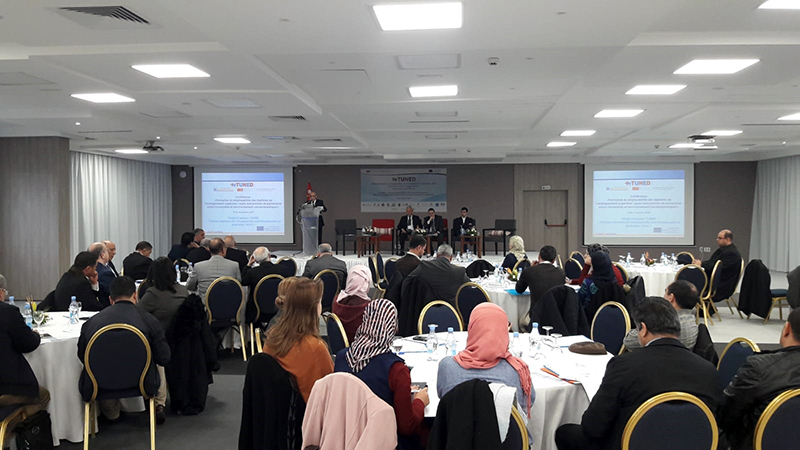 The second out of four National Conferences for the dissemination of the project, “Training and employability of university graduates: what mechanisms of partnership between universities and business world?”, was held in Tunis on last January 9. 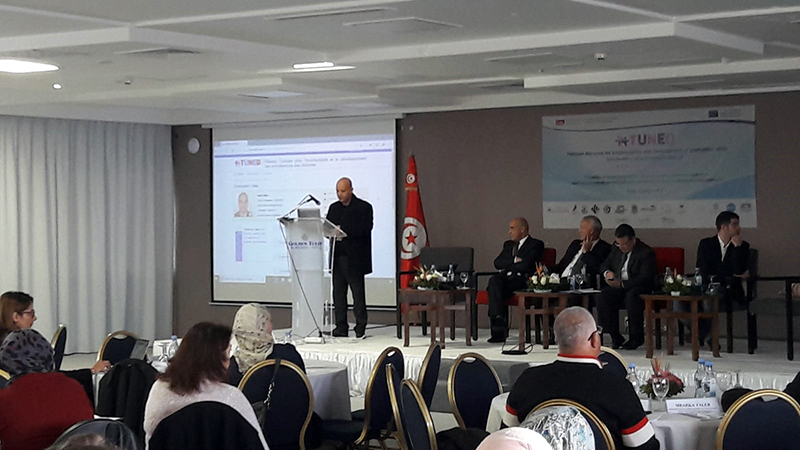 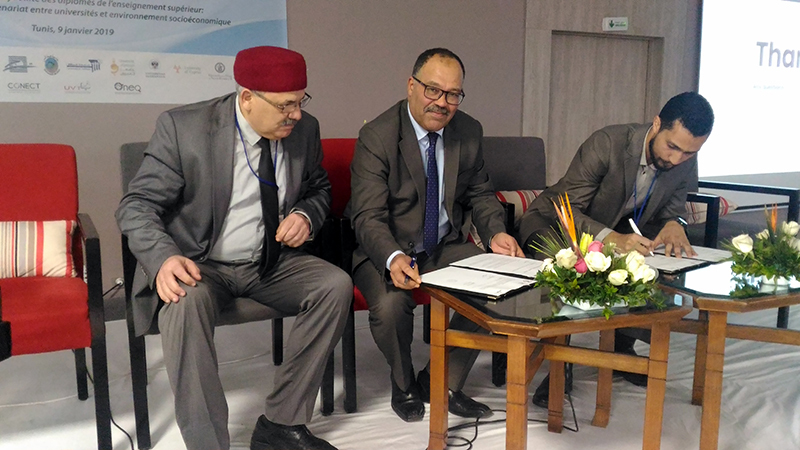 The conference was opened by the Head of Cabinet of the Tunisian Ministry of Higher Education and Scientific Research, who congratulated AlmaLaurea for its achievements in Italy and thanked the Consortium for the support provided to the Tunisian higher education system in the framework of the Erasmus + Project TUNED, within the 2015-2025 national plan for the reform of universities, in particular as regards the general objective n° 1. 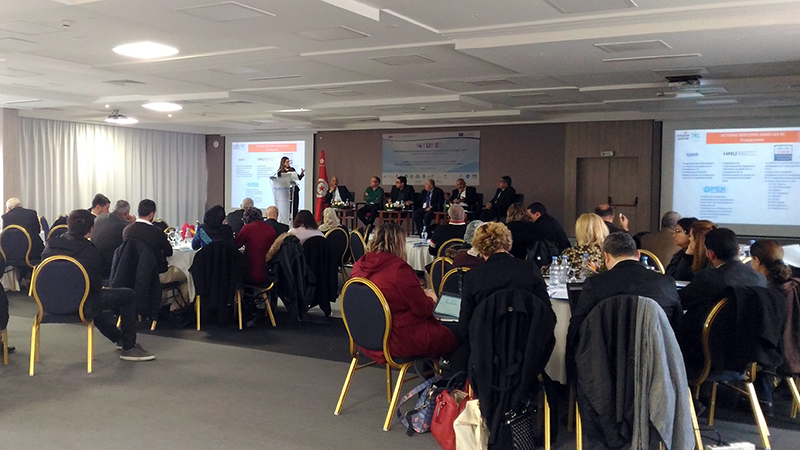 “Improving the quality of university education and the employability of graduates”. 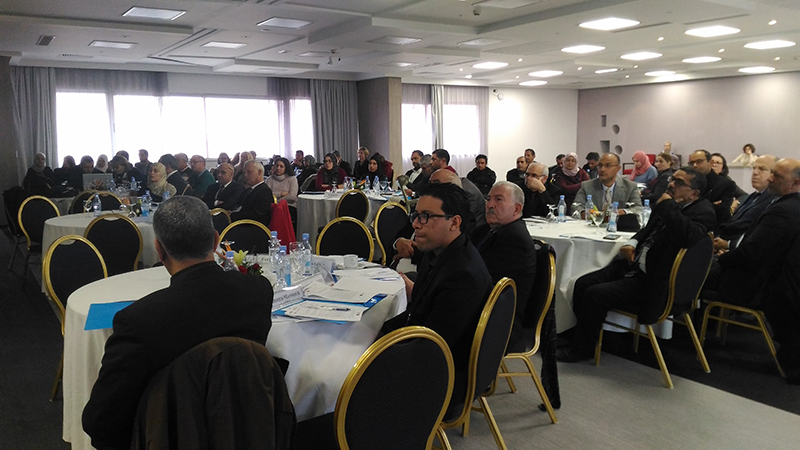 The conference gathered together the stakeholders interested in strengthening the cooperation between universities and firms at national level, including - besides the partner universities - the Tunisian Ministry of Investment Development and International Cooperation, the Confederation of Tunisian Corporate Citizens (CONECT), the National Agency for Employment and Independent Labour (ANETI), the National Observatory for Work and Qualifications (ONEQ), and a series of large firms representing the different regions and industrial sectors in Tunisia. 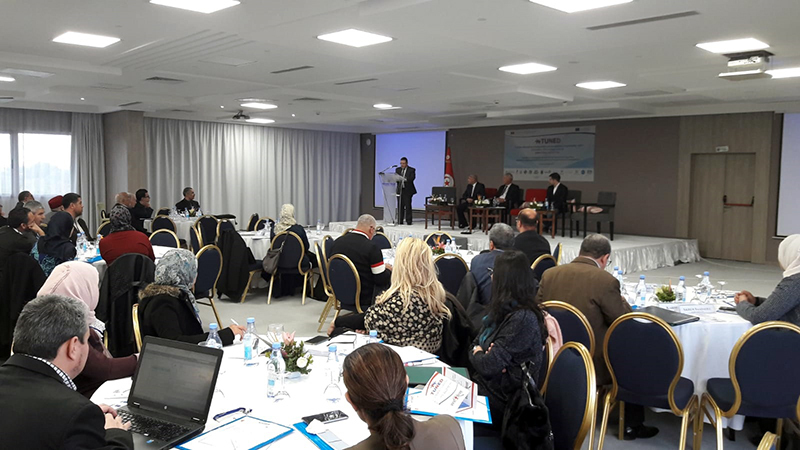 The two panel discussions – “Collaboration between universities and companies before graduation” and “Collaboration between universities and enterprises for the employability of graduates” – resulted in an extensive debate that provided useful recommendations to strengthen the current cooperation mechanisms in the framework of the integrated strategic plan on the employability of graduates, that the Tunisian Ministry for Higher Education and Scientific Research is preparing in these months. 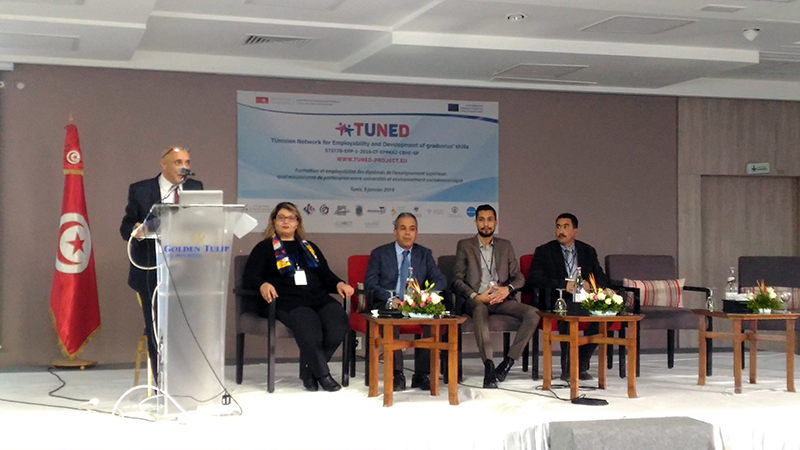 The conference was also the occasion to present the innovative online platform created in the framework of the project for the job matching in Tunisia, www.tuned.rnu.tn, based on the graduates’ databank developed by AlmaLaurea in Italy, which raised the interest of the numerous firms that attended the event.